Plot: A thief with a unique code of professional ethics is double-crossed by his crew and left for dead. Assuming a new disguise and forming an unlikely alliance with a woman on the inside, he looks to hijack the score of the crew's latest heist. 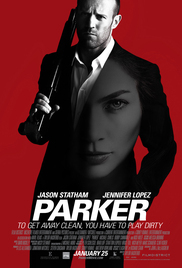 Starcast: Jason Statham, Jennifer Lopez, Michael Chiklis, Wendell Pierce, Clifton Collins Jr.